Is your school ready to respond to a crisis? Are school staff ready to address physical safety issues, emotional needs, and mental health consequences that arise from crisis situations? What steps can you take now to prepare your school for a crisis? 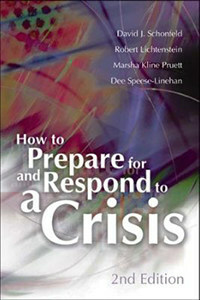 Co-authored by NCSCB Director Dr. David Schonfeld, the steps and guidance offered in this book answer the above and other questions critical to surviving any crisis that touches a school. With an emphasis on integrating safety and security plans with mental health services, the book illustrates how to use the talents, training, and knowledge of school personnel to coordinate a comprehensive response to any crisis.